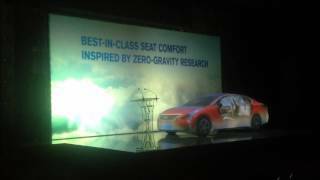 Projection Mapping on Nissan Altima launch in Kuwait Projection Mapping on a Nissan Altima at the launch in Kuwait. Using AdVis Interactive Projection software, content was warped and blended to create an impressive stage display. 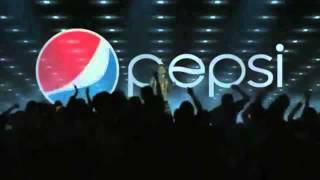 Interactive Cricket Game for Pepsi By using 3D Depth sensing technology, we created an interactive Cricket game for Pepsi. Players could interactive with the screen by swinging their arms as if they are really playing cricket. The object of the game was to score as many runs as possible. The experience is recorded and could be shared instantly across Social Networking sites. Interactive Hotel Lobby - W Resort, Samui, Thailand An interactive walkway at the entrance to the W Resort lobby, in Koh Samui, Thailand. Using Luminvision's powerful AdVis interactive software, the interactive floor is projected using 2 high-powered projectors that are edge-blended together from within the software to create a seamless image. AdVis has more than 100 effects and is completely customisable to create an unlimited amount of effects with your own content. Immersive Augmented Reality By combining the very latest gesture technology and Augmented Reality with chroma screen, we can create an environment in which the user could become immersed in a virtual reality. They can be a football star, a singer/dancer, walk the red carpet or surf on a wave. The possibilities are endless! Their 'performance' can be beamed to a massive seamless plasma screen, Projection or LED Display, recorded and sent directly to their email address or uploaded to social networking sites such as Facebook, allowing them to play and spread the message to friends through social media channels. AdVis Interactive Projection Wall AdVis Interactive Projection Software projected on to a wall. Interactive Virtual Rugby Game for Guinness A popular bar in Dubai was chosen for a promotion of Guinness during the Six Nations Rugby Tournament. A central element of the promotion was an interactive kicking game where members of the public could step up and have a go at converting a virtual ball over virtual rugby posts. Large AdVis Interactive Floor Projection at the London Aquarium Large Scale Interactive Projection Floor at the london aquarium, using AdVis Interactive Projection software and installed by Projection Advertising. Large scale projection using AdVis' Edge Blending and Geometric Correction Technology We create two large-scale displays using 6 x 12,000 lumen projectors, an Eyefinity 6 Graphics card and AdVis (http://www.luminvision.com/products/advanced-projection/edge-blending/). Our edge blending and geometric correction technology is built in to AdVis as standard. 3D Objects on Interactive Projection Floor 3D shapes are built in to AdVis and are bounced around the display when motion is detected. Interactive Floor Projection Interactive Floor installed by Projection Advertising, featuring Trail, Attract and Reveal effects with AdVis Interactive Software. Bespoke Custom Built High Resolution Interactive Projection Wall for Bill Gates' GAVI Conference Bespoke Custom Built High Resolution Interactive Projection Wall for Bill Gates' GAVI Conference using AdVis Interactive Projection Software. Concept and Installation by Projection Advertising (http://www.projectionadvertising.co.uk). Custom built Interactive Software built by Luminvision (http://www.luminvision.co.uk). Interactive Water Ripple Interactive floor installation at Plasa Trade show using AdVis Interactive software, installed by Projection Advertising. Bespoke Custom Interactive Effect for National Geographic Store Bespoke Custom Interactive Effect for National Geographic Store built directly in to our AdVis Interactive Projection Software. Interactive Floor Demo Demonstration of the many differnent templates in AdVis Interactive Projection software at Projection Advertising showroom. Interactive Floor in Shopping mall. Trail Effect. Interactive Floor Projection installed in a Shopping mall. Fruit themed effect using Trail Effect. AdVis Interactive Soccer Effect on Spanish Game Show AdVis Interactive Soccer Effect live on Spanish Game Show. Interactive Floor in Shopping mall. Fire effect. Interactive Floor Projection installed in a Shopping mall. Fire themed effect using AdVis Animate Interactive Effect. Interactive Floor in Shopping mall. Splat effect. Interactive Floor Projection installed in a Shopping mall. AdVis Interactive Software with Splat Effect. AdVis Projection System in Shopping Mall Interactive Floor system using AdVis Animation Effect. Interactive Floor in Shopping mall. Virtual Piano. Interactive Floor Projection installed in a Shopping mall. AdVis Software with Sound Zone Effect. Interactive Floor in Shopping mall. Virtual Guitar. Interactive Floor Projection installed in a Shopping mall. AdVis Software with Sound Zone Effect. Interactive Floor Reveal effect installed in Shopping Mall Interactive Floor system using AdVis Reveal Effect with Autumn leaves theme. Children playing virtual soccer on an AdVis interactive projection floor system. Interactive Floor Projection installed in a Shopping mall. AdVis Software with Soccer Effect. Shopping Mall Interactive Floor Interactive Projection System using AdVis software installed. Balloon effect created with AdVis Repel Interactive Effect. Installed in a shopping mall by Gold Star Media, Canada. AdVis Interactive Projection System. Soccer Effect. Interactive Floor Projection installed in a Shopping mall. AdVis Software with Soccer Effect. Interactive Bowling Alley AdVis Interactive Bowling Game installed in a shopping mall by Gold Star Media in Canada. Interactive Floor in Shopping mall. Soccer effect. Interactive Floor Projection installed in a Shopping mall. AdVis Software with Soccer Effect. Interactive Bridge Effect Interactive Floor Projection system running AdVis Interactive Bridge Effect. Interactive Projection Floor Campaign using AdVis Interactive Projection Floor Campaign using AdVis Interactive Software in Shopping Malls. Interactive Bridge Effect Interactive Floor Projection system running AdVis Interactive Bridge Effect with video background. Interactive Floor in Shopping mall. Butterfly effect. 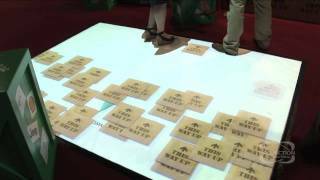 Interactive Floor Projection system running AdVis Interactive Butterflies. Interactive Garden Installation in Shopping Mall Interactive Floor Projection system running AdVis Interactive Garden theme with interactive butterflies and flowers. Interactive Floor in Shopping mall. Heart shaped reveal effect. Interactive Floor Projection installed in a Shopping mall. AdVis Software with Reveal Effect. Interactive Disco Floor Projection Interactive Floor Projection system running AdVis Interactive DIsco Floor Effect. Interactive Drum Kit projected on floor Interactive Floor Projection system running AdVis Interactive Airdrums Effect. Interactive Projection System in Shopping Mall. 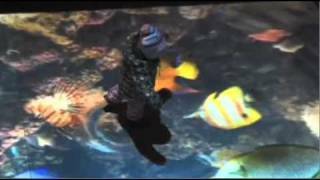 Interactive Sealife with Water Ripple. Interactive Projection System in Shopping Mall. 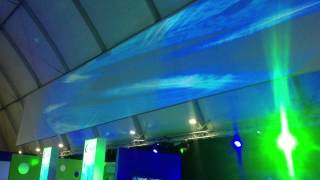 Interactive Sealife with Water Ripple using AdVis Interactive Projection System. Interactive Floor Installation in Kuwait - Graffiti Theme Large interactive Floor system powered by Luminvision's AdVis Interactive Projection Software and installed by Gemini Productions, Kuwait. Graffiti theme created using trail and alpha reveal effects. Interactive Flip Effect on Interactive Floor Projection System Interactive Floor Projection installed in a Shopping mall. AdVis Software with Flip Effect. Interactive Projection System in Shopping Mall. Reveal Effect with candy theme. Interactive Floor Projection installed in a Shopping mall. AdVis Software with Reveal Effect. 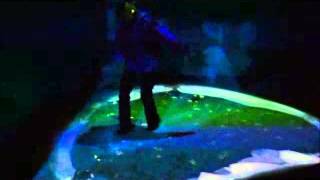 Interactive Turntable Effect on AdVis Interactive Floor Projection system. Interactive Floor Projection installed in a Shopping mall. AdVis Software with Turntable Effect. Interactive Record player installed in shopping mall using AdVis Interactive Projection Software Interactive Floor Projection installed in a Shopping mall. AdVis Software with Turntable Effect. Interactive Projection on floor in shopping mall. Fire Effect. Interactive Floor Projection system running AdVis Interactive Fire Floor Effect. Interactive Fish Effect Interactive Fish Effect projected on shopping mall floor with water ripple. Interactive Projection System in Shopping Mall. Racing Game. Interactive Floor Projection installed in a Shopping mall. AdVis Software with Cars Effect. Interactive Projection System in Shopping Mall. Racing Game. Interactive Floor Projection installed in a Shopping mall. AdVis Software with Cars Racing Game. Interactive Flowers projected on floor. AdVis Interactive projection system in Shopping Mall. Interactive Flowers using Animate Effect. Interactive Projection System in Shopping Mall. Animate Effect with Glitter Theme. AdVis Interactive Projection System in Shopping Mall. Animate Effect with Glitter Theme. Interactive Floor Installation at Rock In Rio Interactive Floor Installation at Rock In Rio using AdVis Interactive Projection Software. Interactive Projection System in Shopping Mall. Hockey Game. Interactive Projection System in Shopping Mall using AdVis Interactive Hockey Software. Interactive Projection Window with Transparent Projection Foil Interactive Installation projected on a holographic foil. Interactive Projection System in Shopping Mall. Image Reveal Effect. Interactive Projection System in Shopping Mall. 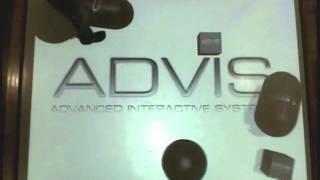 AdVis Image Reveal Interactive Software. Interactive Projection Floor Demos Collection of some of the effects in AdVis's Interactive Projection Software. Interactive Projection System in Shopping Mall. Animate Effect with Meteor Theme. Interactive Floor Projection installed in a Shopping mall. AdVis Software with Animate Effect. 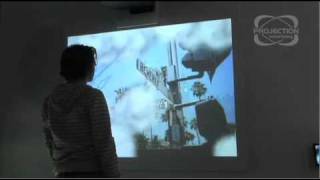 Interactive Projection on a wall using AdVis and custom built effect. Interactive Projection on a wall using AdVis and custom built effect. Interactive Projection System in Shopping Mall. Orange Slice Reveal Effect. 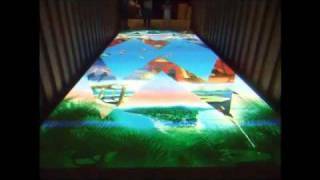 Interactive Floor Projection installed in a Shopping mall. AdVis Software with Reveal Effect.